As part of the research for my book, Ghosts of Tom Joad, A Story of the #99Percent, I visited many American towns and cities to learn how people live now in our New Economy. Here’s one portrait. How many Americans have visited Harlem, even including quick dashes in for a now-trendy restaurant or music club, is unknown, but it is a small number. Even many life-long New Yorkers riding the Lexington Avenue subway through the wealthy upper east side are careful to hop off before reaching the 116th Street stop. 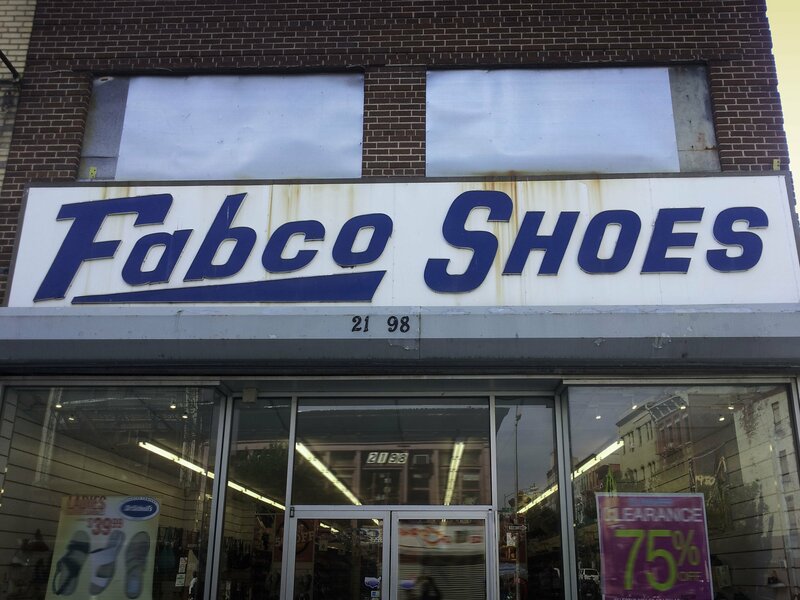 But walk three blocks over to 119th and 3rd Avenue and you find yourself in a micro-economic world that has more in common with America’s economy of the 1950’s than 2013. There are of course no shaded streets on this block in Harlem, no boyish Little League games. But what you do find are locally-owned stores that appear committed to serving the community. Not one place was franchised, not one corporate owned. The stores were full of what people in the area needed, and while the quality of the goods varied, prices were wondrously below what similar things cost a half dozen subway stops away in New York city. Everybody in the stores spoke the same language as the customers, and as family businesses, people were eager to help find things and to make suggestions. People held conversations. Customer loyalty is important, so prices are negotiable and when he found a customer was a neighbor, one shop owner helped carry things upstairs. The guy selling frozen ices outside did not work for a conglomerate and doled out healthy-sized servings to his regulars; he told me he bought his raw materials in the food store we stood in front of. Even at night the sidewalks were full of people; I never felt unsafe even though I obviously was not from the neighborhood. People talked to each other, and were ready to give directions or argue over where to tell me to eat. The one mega-corporate store near the area, a Rent-a-Center charging usurious prices for junk, was empty. The guy next to it, with an impressive array of used TVs and small appliances from unknown Chinese manufacturers, was doing great business, shifting among English, Spanish and some sort of Dominican Creole. Few things were shiny and new. The block had vacant lots, uncomfortable to walk past at night. Homeless people, one near-naked and muttering out loud, were more prevalent than in Midtown. The streets had more trash. I saw likely drug deals taking place against graffitied walls. Not everyone was a nice guy or the salt of the earth. Some, as they said, were just hanging dull in somewhere low. At the same time, local businesses catered to their community, and adjusted prices in line with what people could pay. Money spent in the neighborhood seemed to mostly be staying there. Decisions the businesses made, to open or close, staff up or lay off, were made by people in the area face-to-face with the people they affected. There were far fewer men and women than in the decayed steel mill town of Weirton, West Virginia obviously drunk or on drugs; I had to walk further in Harlem to find a liquor store than in Weirton, and there were no strip clubs or bars in my part of Harlem. More families walked the streets than I saw off the Boardwalk in Jersey. More sad-looking people asked me for spare change in Atlantic City than in Harlem. Harlem is a galaxy away from perfect. But unlike Weirton, which had given up, Atlantic City, which was in the process, and Leavenworth, which had opted out of the system, Harlem was still trying. It shows how a micro-economy with ties to its own community can still work in America, at least in the short run: Target is building its first super store not far away. Harlem is a galaxy away from perfect, but shows how a micro-economy, with no Walmart, and with ties to its own community, can still work in America. OK, I’ll bite but with an observation. There are ethnic enclaves in New York which are not an admirable experiment in cultural evolution- an opinion of course. Rego Park is such a community. Oh, of course, no argument at all, and many things in Harlem are awful. I was just focusing on the idea that community-based, non-predatory economics can work, and might help, elsewhere. Harlem might have another renaissance if publically smoking the reefer becomes a legal act. The patron saint of the reefer will be Louie Armstrong. 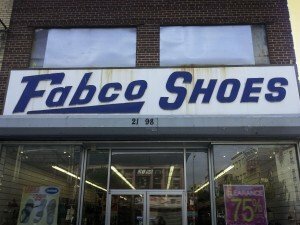 Ah, FabCo Shoes in Harlem, founded by two Jewish men — Abe Weinman and decorated WWII VET Fred Lustbader. Jews were often the early and still only mercantilists to serve what we now delicately call, “underserved” populations. The problem in black communities is that successful blacks don’t want to risk doing business there. LTC (RET) Allen West said as much on NPR’s Diane Rehm show this a.m.
Why “Rego Park”, JP — because it’s Jewish?